Atlantic Breeze is a beautiful oceanfront property located in the Crescent Beach section of North Myrtle Beach. As one of the newer properties built in the area, you will find all the best amenities here - oceanfront pool, hot tub, lazy river, kiddie pool, indoor pool, oceanfront fitness center and MUCH more! Luxuriously appointed, these condos come as either 2 or 3 bedrooms, providing accommodations for up to 10 people. The property includes wireless and wired internet, and all the condos feature full kitchens and washer/dryers. 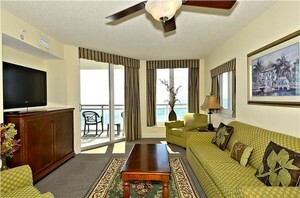 Enjoy the comforts of home with a touch of seaside luxury at Atlantic Breeze. Call or stop by the Condo World Sales office (also located in Crescent Beach) to view available listings!